This section contains transcripts of Don's participation in Saskatchewan Legislative Assembly deliberations during the 2006 spring session. The 2006 spring session of the Saskatchewan Legislature commenced on March 14 and adjourned on May 19. 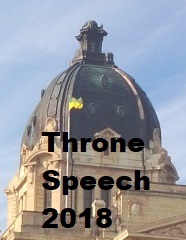 The next sitting of the Legislature is expected to commence with a Throne Speech in November 2006.